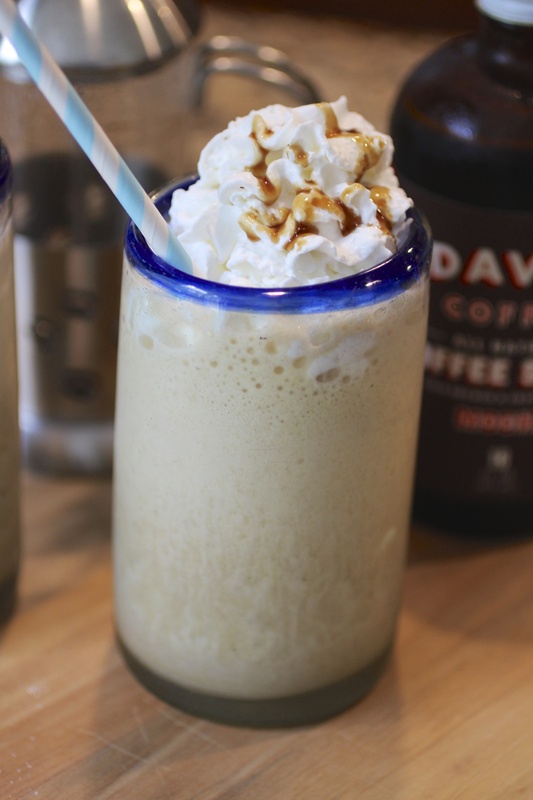 When the closest Starbucks is about twenty five minutes away and Dunkin’ Donuts is your only hope for a tiny bit of frozen coffee yumminess, you might decide, as I did, to try to make your own at home. Not that there is anything wrong with Dunkin’. After all, America runs on it apparently. But this girl does not. I’m not a coffee drinker. At all. I love coffee flavor. I love the smell. I love coffee shakes, ice-cream, cake, etc, etc…..but the hot steaming drink? Not generally for me. Last week I had a headache that was borderline migraine material. It might have been from the stress of this last year being such a non-year for us with a huge kitchen renovation, eating out of the boxes in the dining room, dealing with construction dust, the horror of frozen dinners…not having a kitchen….then learning we were moving to a new state and having to pack up my entire life’s worth of collections and memories single handedly….and despite what my fabulous husband says…I am not a hoarder. I am a collector. So there was a bit of stuff. I’ll give him that. It might have been because I realized I was only one point five weeks into a summer vacation with two very needy children who love to bicker with each other ALL DAY LONG. It might have been that I do not see other adults EVER and am living in a place where every one seems to know everybody else but I can go weeks without one conversation with anyone. Nonetheless I had a headache. I quickly set out to french press an espresso and blend it with ice so that I could manage to drink it quickly to fend of the headache throbbing behind my eyes. I might have added a splash of whole milk and a small half a cup of sugar….but it worked instantly and the throbbing went away. As I drank it I thought how easy it was to whip this thing up. Starbucks it was not….but not bad for a first attempt. It was separating though, and although I drank mine quickly, if I had enjoyed it slowly it would have not looked quite so attractive. This morning I thought I’d try again. 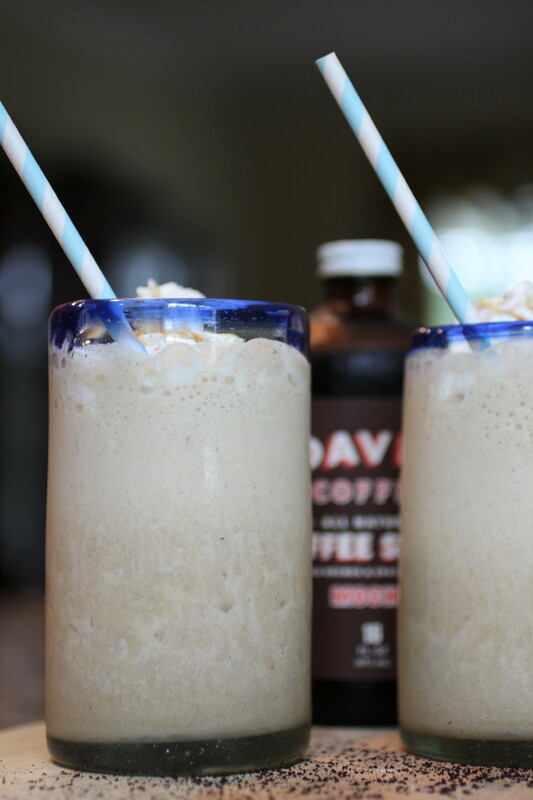 I decided to read up on Frappuccino hacks. What I learned was that I was doing almost everything right. I was just missing one important step. 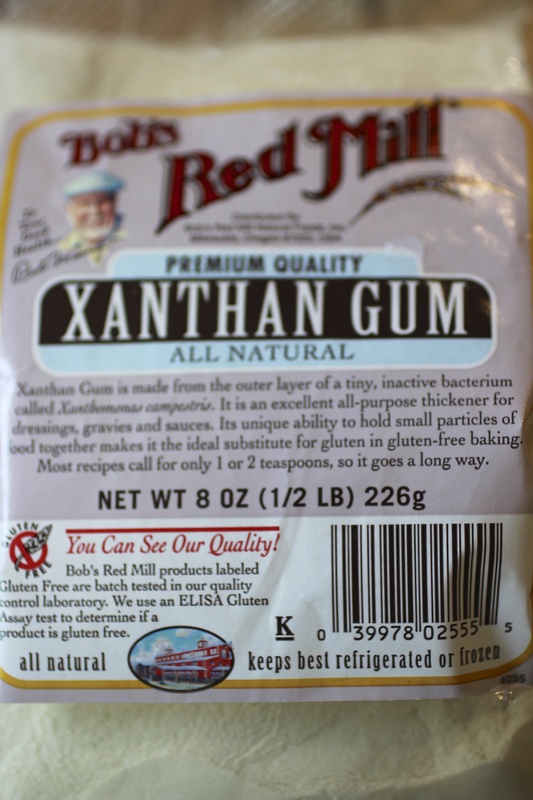 Xanthan Gum. Apparently, it is a secret ingredient that keeps blended drinks mixed. You only need a pinch. And I might have been in a pinch if that same fabulous husband who I mentioned above didn’t have a box in our pantry labeled powders and potions (and no, he is not a wizard…and yes I did say labeled box…another reason he is so fabulous). I have not been in that box before. I unpacked it so I knew it was there. It is full of strange chef’s secrets that seem a bit complex for my simple style of cooking. But low and behold. I opened it and what was on top? A brand new bag of xanthan gum. Doesn’t everyone have one of these in their pantry?!?! Oh I felt so lucky. I was in business. I blended one cup of french pressed Starbucks espresso with 3/4 cup of milk, 2 cups ice, 3 tablespoons of sugar and a pinch of xanthan gum. Once poured, I topped them with whipped cream (because really, I had to. It was a Frappuccino hack after all.) and a drizzle of Dave’s Coffee Syrup. Heaven. 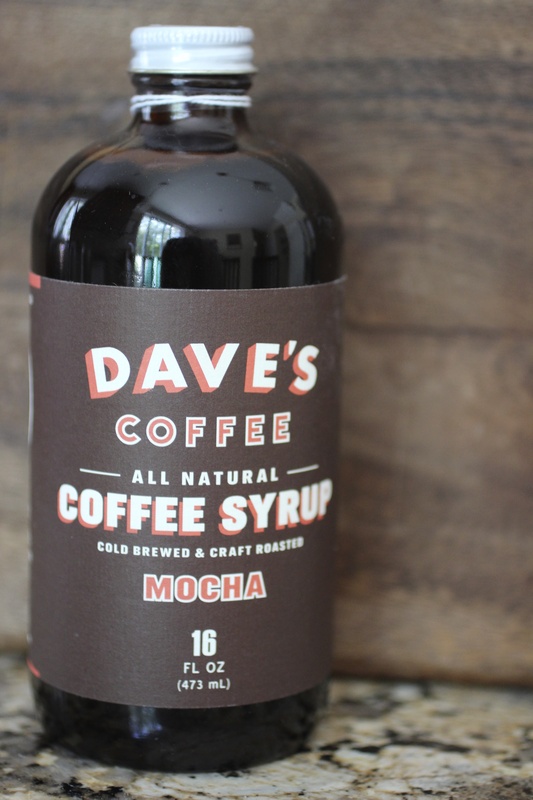 And while we are here let’s just stop and talk about Dave’s Coffee Syrup for a minute. When we first arrived here in Rhode Island I had not used coffee syrup before. 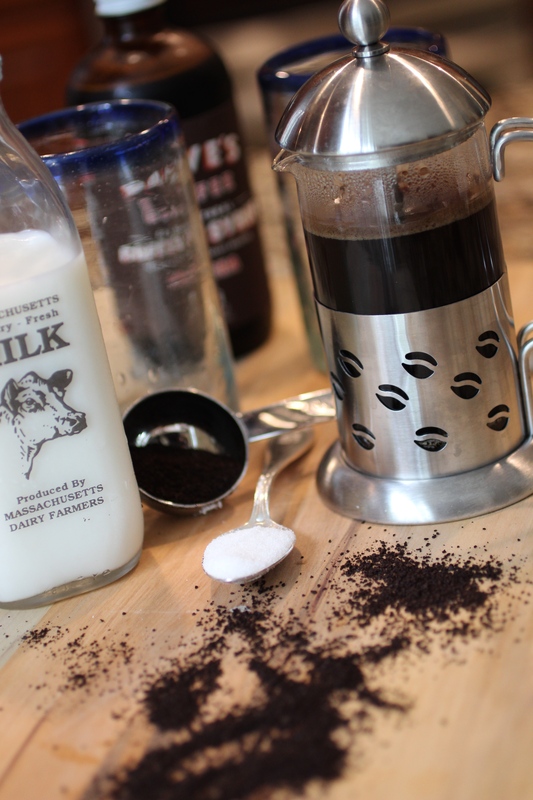 We did a blog on the state drink and Autocrat Coffee Syrup. It is everywhere here. These industrial size bottles. It reminded me of Marmite with the yellow and brown packaging. It made a great frozen drink….but attractive it was not…the packaging that is. And I am all about the packaging. 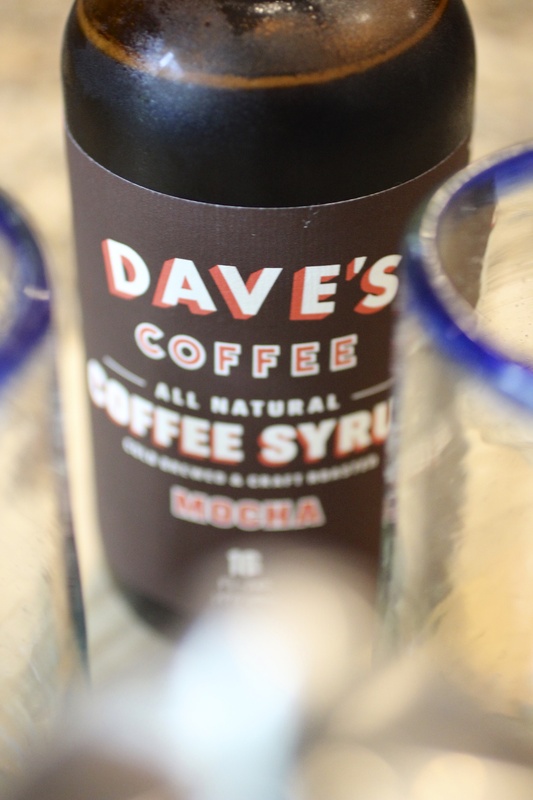 So in the smaller market in the center of town there was this gorgeous little display of Dave’s Coffee Syrup. Retro packaging. Glass bottles. Lovely labels. Local. And I shelled out $8.95 faster than my kids could eat that sugar on their little fingers the other day. And you know what? I will never go back to anything else. This new Rhode Islander is going to be a Dave’s Coffee Syrup girl. I can hardly wait to try all the flavors. It added a delicious mocha taste to the top of my fake Frappuccino. Don’t get me wrong…I’ll be delighted when we are out somewhere and happen upon a Starbucks (and I can feel like a real human interacting with other adults) and get a real one. But in the meantime I’ll blend my way to happiness right in my very own kitchen.